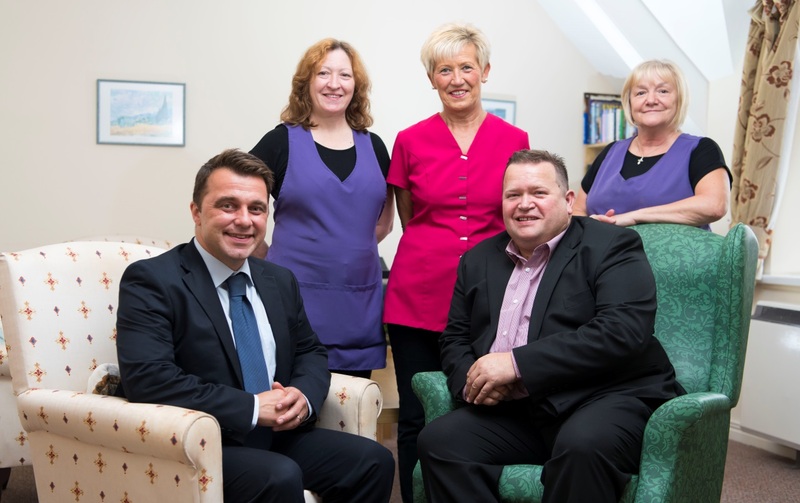 Established over 20 years ago, Baglan Lodge Care is a family-run care home, situated in a large extended manor house between Neath and Port Talbot. Run by Nigel Clark, Baglan Lodge provides care for up to 30 residents aged 65 and over, who require either residential or nursing care. The business is committed to improving the quality of life for their residents by providing an excellent standard of care. Baglan Lodge has been in operation since 1988. We changed the company structure in 2009 to Bevan & Clarke LLP (Limited Liability Partnership) and in 2012, we separated the company into trading and assets companies. Bevan & Clarke Assets LLP owns the care home building and rental properties while Bevan & Clarke LLP is the trading company for the nursing home. This allowed the family business to also purchase Taibach Nursing Home (now called the Alma Lodge Care Home) in January 2013.” – Nigel Clark, Manager at Baglan Lodge Care. Do they use Welsh in their business? Baglan Lodge Care Home took part in the Welsh Government’s Business Wales Social Care pilot project, delivered in partnership with the Social Services and Integration Directorate. Nigel attended a number of CIW and Information Security events delivered by Business Wales and further workshops on Tendering and GDPR, specifically tailored to the Social Care sector. The business was then supported by Arwyn Williams, a Relationship Manager, who identified the need for additional sustainability support with updating their environmental policies. Business Wales Sustainability Adviser Iain Cox helped with this and with Baglan’s Green Growth Pledge commitment, which will assist with future tenders. Nigel was also referred to Superfast Business Wales who were able to provide advice on digital marketing, social media and web presence. Nigel Clark, Manager at Baglan Lodge Care, said: “We currently own 2 care homes in the Neath Port Talbot area and have benefited greatly from the support and advice we have received through this (Social Care) project. The support we have accessed has been of great value to us in ensuring our business is on the right track to recruit locally, grow and be successful in the care sector. I have met with Iain Cox with regards to our current business practices and reducing our carbon footprint, and, although we were already involved with recycling with the local authority, we now also encourage our staff to car-share where possible and encourage a walk-to-work regime where applicable. These changes cost nothing but the advice given has had an impact on our carbon footprint and was very easy to implement.